Are you ready for great online shopping deals but afraid to share your credit card number? Identity theft is on the rise and with more people shopping online where the chip card security feature is not being utilized, online shopping is a windfall for identity thieves. Lessen the anxiety of fraud and identity theft with virtual card number technology. Virtual card number technology adds a layer of protection and security by allowing you to keep your real credit card number safely where it belongs – in your wallet. When you use virtual card number technology, your card will have a balance that you can predetermine and your shopping experience is safeguarded by generating a virtual card number right on your browser wherever you shop online or over the phone – each merchant gets a unique number that links back to your credit card, so it’s like a “single use” or “disposable” virtual credit card number. Best of all, it works directly from any checkout page, so it’s convenient. Purchases made online using the virtual card number show up on your credit card statement as they normally would. Consumer risk of fraudulent charges is further reduced by locking the virtual card number for any merchant if there is a data breach, that way it won’t affect any other spending that you do. If something happens to a virtual card, you can just delete it and get a new one. You won’t need to report your card information as stolen and get a new card mailed. There are some drawbacks to virtual cards. For one, they can only be used online or over the phone, not in stores. And If you book online reservations at a hotel or car rental, for instance, they will still want to see a real credit card, not the virtual one, when you arrive. Refunds and disputes may be a hassle if your virtual card number expires as they no longer “exist.” There also may be associated fees if the balance dips below $25 for some cards, so you’ll want to read the fine print when using virtual card numbers. Card features vary depending on the card issuer, so you’ll want to check out each one before deciding on which would be best for you. 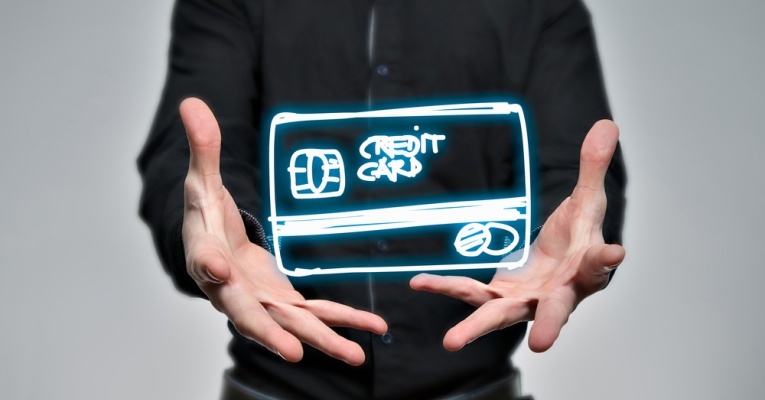 At this time, virtual card number technology is offered through Capital One Bank, Citi, and Bank of America. If an extra measure of safety is what you’re looking for online, go for it! Enjoy all the special online shopping deals with peace of mind knowing that your real credit card number is under wraps.